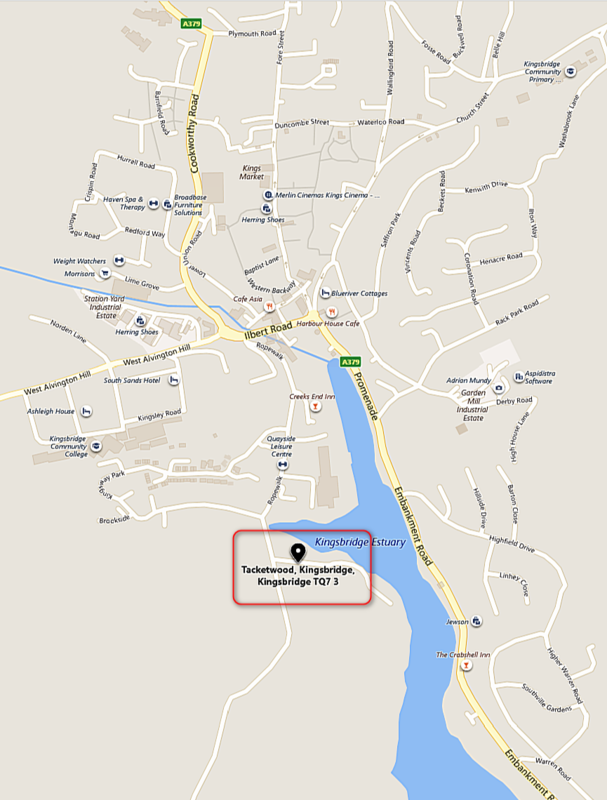 Bee-keeper attributes success to Kingsbridge in Bloom. It's generally understood that the first year of a hive produces very little honey. However, Dave has so far, collected twenty pounds of honey. 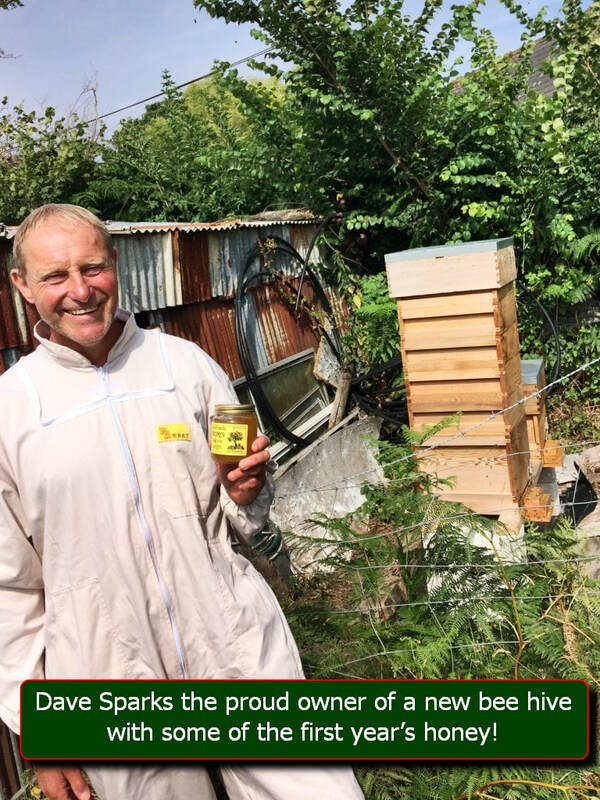 After discussions with experts locally about where and when bees forage, he has concluded that the impressive production from his hive is down to the thoughtful planting by Kingsbridge in Bloom volunteers. Bees travel up to three kilometres in search of food. The area to one side of the hive is farmland with little on offer. In the opposite direction is the town where the bees are spoilt for choice! There are over 250 species of bee in the UK: 25 species of bumble bee, 224 species of solitary bee and 1 honey bee species. 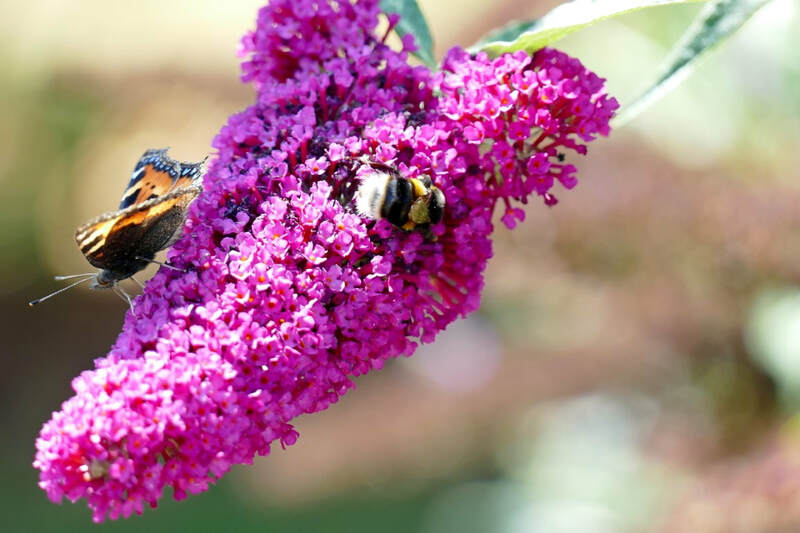 • Pollinators such as bees are estimated to be adding up to £600 million per year to the value of UK crops through increased yield and quality.